Children in care who have been traumatized need a therapeutic environment where they can heal and which meets their emotional and developmental needs. 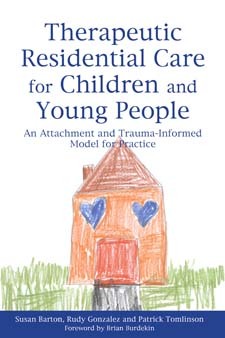 This book provides a model of care for traumatized children, based on theory and practice experience pioneered at the Lighthouse Foundation, Australia. The authors explain the impact of trauma on child development, drawing on psychodynamic, attachment and neurobiological trauma theories. Click here to purchase your copy today.